David, in my shop, if I couldn’t get the entire RV onto a hoist, I would only jack one side of the trailer at a time. Perform the service at each axle on that one side, then move to the other side. I would jack only on the main frame rail and allow the suspension to hang until both tires were clear of the shop floor. 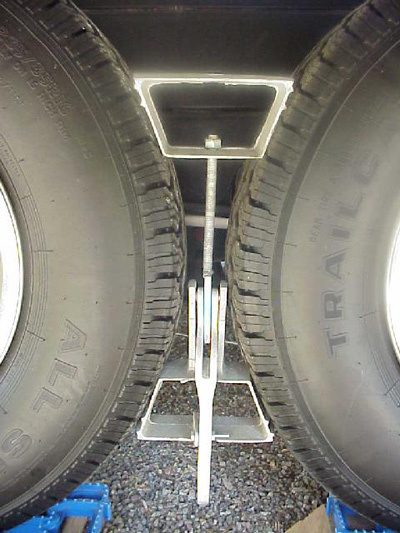 I would then lower that side onto appropriate, (read: weight capable), safety jack stands. Then simply repeat the process on the other side. 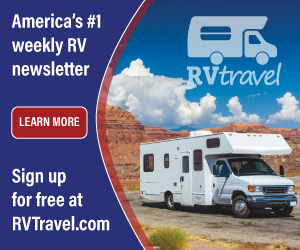 For any RV being raised up with a floor jack, it’s much safer to always have at least two tires (or one side), safely on the ground at all times. Remember, safety first, the time element, second!